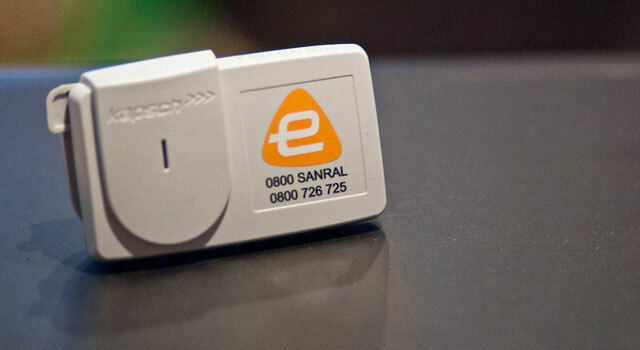 Angrily tampering with figures to make a point was not contributing to a rational approach on the question of e-tolls, the roads agency Sanral said on Wednesday. Sanral said this is what Wayne Duvenage of the Opposition To Urban Tolling Alliance (Outa) had done when he derided minister of transport Dipuo Peters’ report on statistics showing an increase in e-toll collections. According to Outa, Peters’ comparison of e-toll collections for May and June with the preceding seven months was misleading. “When comparing revenue growth and business performance it is important to equate this to the same period last year, as well as to one’s original targets. Outa categorically states that any attempt to talk the e-toll numbers up as a result of May and June’s e-toll revenues at R78m is nothing but a farce,” Duvenage said in a statement on Monday. According to the statistics released by Peters, payments for May were R76m and for June R78m. Furthermore, payments ranged from R45m in January to R68m in March. However, Sanral’s chief financial officer, Inge Mulder, pointed out that it is general knowledge that when the Gauteng premier announced the advisory panel to relook the project, it caused uncertainty with an immediate and steep drop in income from a high of R120m in June 2014 to R45m in January this year. With the announcement on 20 May that the user-pays principle will stay, but the tariffs will be reduced, e-toll cash receipts began to recover and the trend is positive, according to Mulder — from R61m in April this year to R76m in May, R78m in June and R82m in July. “This is clearly an upward trend,” said Mulder. Sanral said any businessperson knows that it is the practice to adjust forecasts monthly to take new developments into account — “as is done by the South African Reserve Bank and many other prudent businesses”. “The revised forecasts notwithstanding, it is clear that month on month there is an upward trend in payment since the deputy president’s announcement in May. This is all we are saying — the facts don’t lie,” said Mulder. Sanral spokesman Vusi Mona said this meant that more motorists are paying and ignoring Outa’s “exhortations”. “Most toll roads take between 16 and 22 years to break even. We’re on track to beat that figure. And Mr Duvenage’s fooling around with figures won’t change that,” said Mona. He said Sanral is now used to Duvenage “being dogmatic in his views”. Spot on, Vusi! Keep fighting the good fight, brother. Wayne’s bitter rejection of the democratic dispensation of South Africa is turning into a joke! It is time for Outa to get Out-ta Sanral business! A democratic answer would be to keep a referendum on e-tolls. I have no doubt about the outcome. Awaiting the next years Municipal elections. So Vusi is your brother and whose good fight are we talking about here? You didn’t fight you rolled over and let Nazir and his lap dog Vusi take you from behind because they are taking money from you to drive on a 30+ year old road. Your foul language and crudity makes you unworthy of a response! Makes me think you dont have a case to make! The resounding electoral support of the majority is the only endorsment Sanral needs to roll out the system for the benefit of all South Africans! Gauteng Trekker … only 5 comments and all today and on this one story on two sites. VUSI … is that you! “Foul language”? Obviously English isn’t your forte as I see no foul language in my comment. Crudity maybe but “taken from behind” was the most polite term I could think of and still get the point across (pun intended). By the way you responded so my comment was worthy of a response. I’d like to invite you as a speaker at the next Bikers Against Tolls protest ride in September. I think your ideas on E-tolls would really get the party started.